The Aral Sea has reached a new low, literally and figuratively; new satellite images from NASA show that, for the first time in its recorded history, the largest basin has completely dried up. However, the Aral Sea has an interesting history – and as recently as 600-700 years ago it was as small, if not smaller, than today. The Aral recovered from that setback to become the world’s fourth largest lake, but things might not be so easy this time round. Today, more people than ever rely on irrigation from rivers that should instead flow into the sea, and the impact of irrigation is compounded by another new factor: climate change. Sandwiched between Kazakhstan and Uzbekistan, the Aral Sea is actually a lake, albeit a salty, terminal one. It is salty because evaporation of water from the lake surface is greater than the amount of water being replenishing through rivers flowing in. It is terminal because there is no outflowing river. This makes the Aral Sea very sensitive to variations in its water balance caused either by climate or by humans. Indeed, the sea has long been a cause celebre in the world of environmental catastrophes, an exemplar of the devastating harm that ill thought-out economic policies can have on the environment. Intensive irrigation of cotton plantations in the deserts of the western Soviet Union prevented water reaching the Aral Sea, leading to the drastically low levels we see today. This in turn meant the highly-salty waters killed off many plants and animals. During early Soviet Union times, the Aral Sea and its fringing wetlands were a significant resource for the fishing industries, agriculture, animal husbandry and fur trapping. But in the 1950s, the extent of irrigated land used for “white gold” (cotton) increased dramatically from 4 billion to 8 billion hectares, with Uzbekistan becoming one of the world’s largest cotton producers. To feed cotton’s insatiable demand for water, the Karakum Canal was built out of the desert sands and because it was unlined, water losses were extremely high. 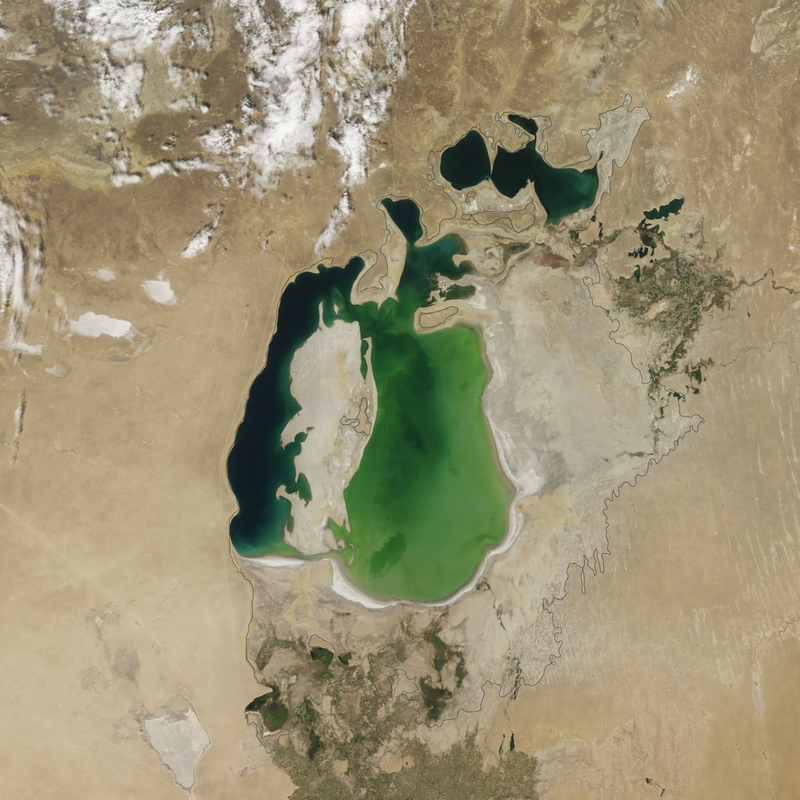 During the late 1960s, the amount of water evaporating from the Aral Sea become greater than the amount of water entering the lake, so lake levels declined dramatically in the 1970s and 1980s. More than 75% of the surface area and more than 90% of the lake’s volume has been lost. In 1987-1988, the lake split into two, and the Large and Small Aral Sea basins were created. International efforts have been made to protect the Small Aral Sea through the construction of dams, and this has meant that lake levels here have increased. The environmental impact of the drying Aral has been devastating. Hundreds of thousands of people have been displaced and hundreds of species have disappeared. Toxic metals and agrochemicals (herbicides, pesticides, insecticides), used to prevent disease and pests from lowering cotton yields, found their way into the sea through its rivers. But because the Aral is a terminal lake, the pollutants were never washed out, and they instead sunk to the bottom sediments. 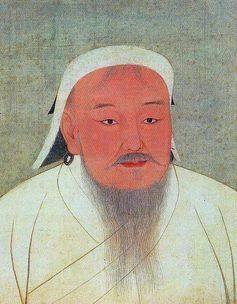 Genghis Khan, conqueror of the world, diverter of rivers. We still aren’t sure exactly what caused such extreme regression, but a cooler, drier climate played a role. The 13th century Mongol invasion of central Asia also led to the Amu Dar'ya, one of two major rivers that feed the Aral, being diverted to the Caspian Sea. Clearly humans were a major factor in the Aral’s previous dry spell. By the late 16th century, the Aral Sea started to fill up again, in part because irrigated channels meant the Amu Dar'ya once more flowed into the lake. A key question that remains today therefore is how much of the lake’s current regression is due to intensive irrigation and how much may be due to climate change over the past 50 years. 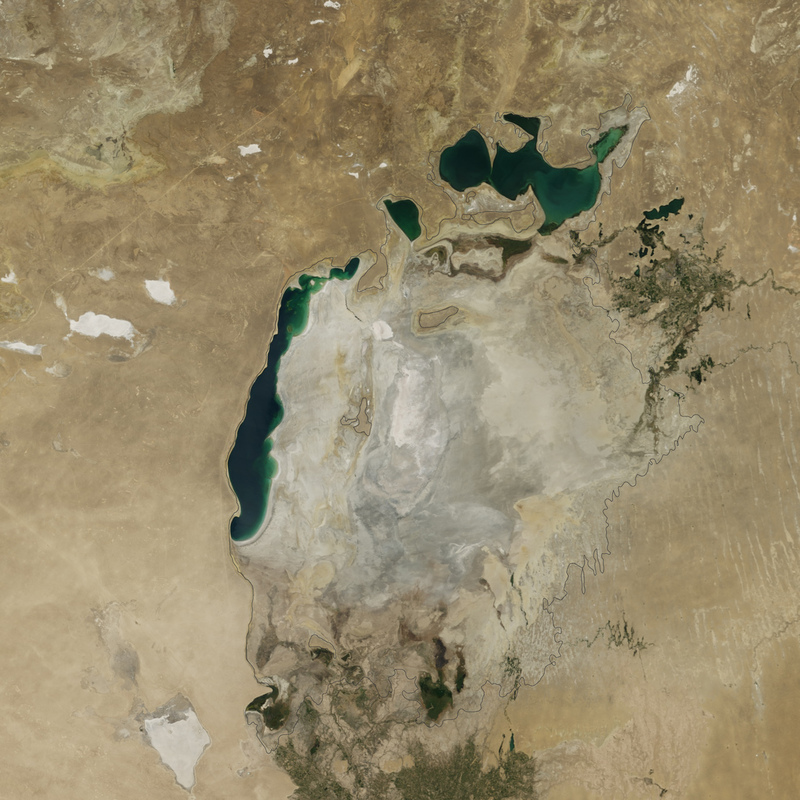 Recent studies suggest only 14% of the shrinking of the Aral Sea since the 1960s was caused by climate change, with irrigation by far the biggest culprit. Researchers looking at what will happen to Aral Sea levels with global warming over the next few decades have combined several model predictions together and expect net water loss to increase as more evaporation leads to less river inflow. However, if irrigation of the rivers continues, then net water loss will be even greater as river flow into the Aral Sea will essentially cease. Climate change may be one of the world’s great problems but over-irrigation is at least possible to reverse with the right policy changes. But the two issues together make a disastrous combination. The future for much of the Aral Sea does not look great. Anson Mackay, Professor of Environmental Change at University College London, received funding from INTAS between 2003-2005 to research water level change in the Aral Sea over recent millennia.